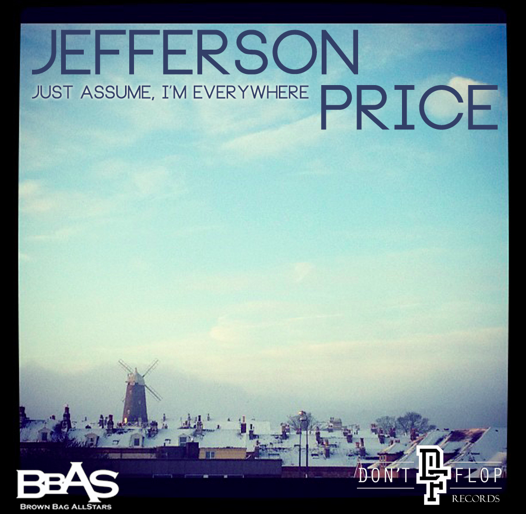 Jefferson Price (@JeffersonPrice) – Just Assume, I’m Everywhere EP | "Up to date / state of the art / take part, get taken apart as I make my mark"
New free to download EP from Jefferson Price. Definitely worth a couple of chunks of your bandwidth. Cop it. This entry was posted on March 6, 2012 by Koaste in Don't Flop, Live From The UK, New Release, The D is FREE, Up North Trip and tagged Brown Bag Allstars, Don't Flop, J57, Jefferson Price, Koncept.